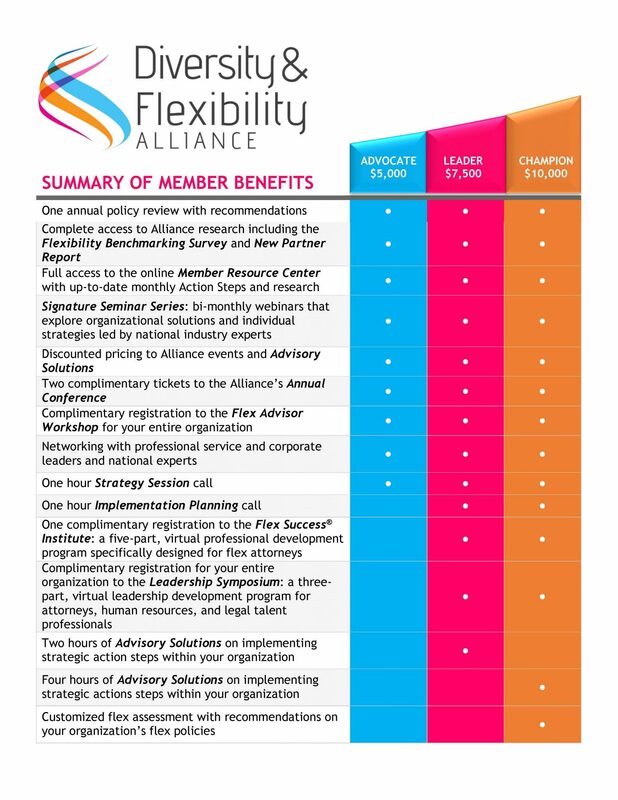 The Diversity & Flexibility Alliance currently offers three levels of membership: Champion, Leader, and Advocate. Each level provides specific benefits as detailed below. 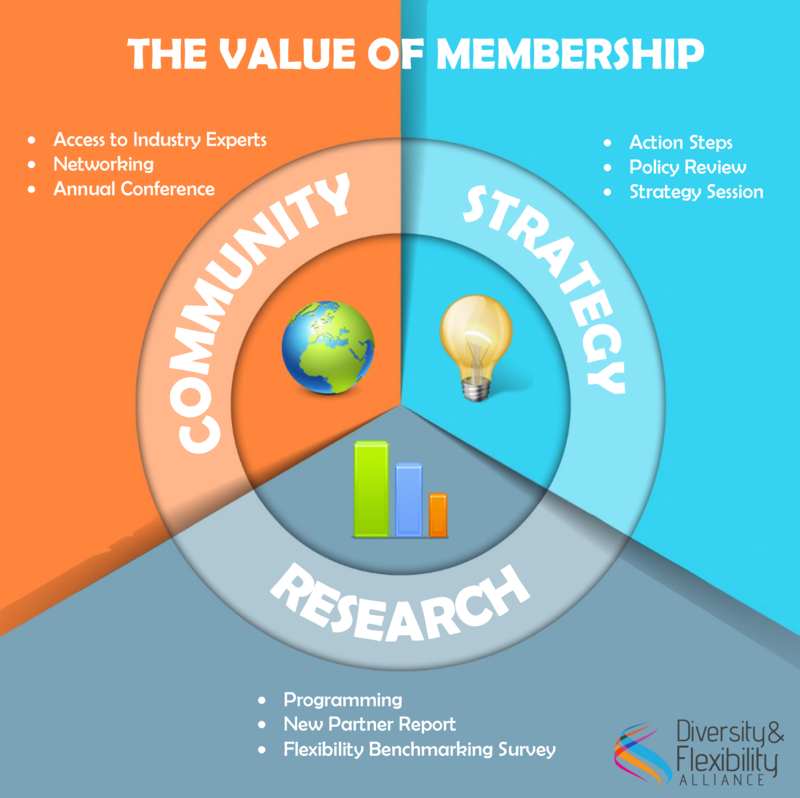 The Alliance’s membership consists of over 55 leading organizations that are implementing innovative solutions to promote inclusive and flexible work cultures. To become a member of the Alliance, complete the application linked below. If you have any questions, contact Eliza Musallam.